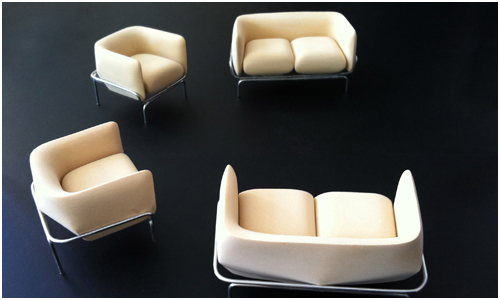 2012 is an important milestone for Moroso, which celebrates 60 years in business. 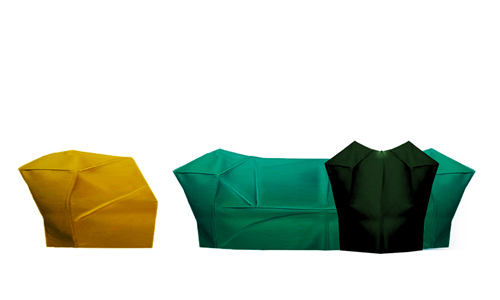 Here is a quick preview of Moroso’s featured products at this year’s Salone del Mobile (or the Milan Furniture Fair). The collection seems yet to be named, but the furniture pieces feature asymmetric forms with strong shapes and exposed stitching. Inspired by the city of Chandigarh in India, which is well known for its Le Corbusier architecture, the Chandigarh Sofas are a comvination of “modern, sensual, graphic and eccentric qualities” per Doshi & Levien. 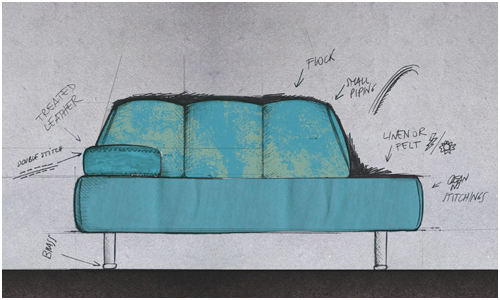 The seats of the sofa is in moulded foam, and upholstered in leather or glass with a print design. 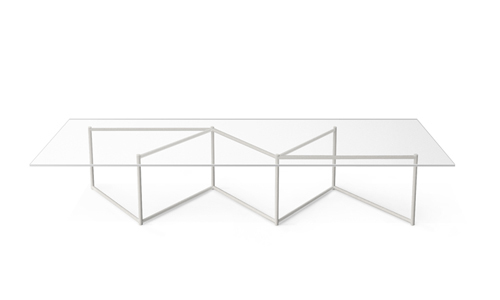 This low table and dining table by Nendo is built on a strong square frame that folds in the manner of the Japanese “byobu” screen. This version of the frame takes things in the traditional format and warps it create an unusual shape while maintaining structural balance while creating visual variety. As the name suggests, this sofa is made by taking apart the essential parts of the sofa – namely the platform, back, and armrest – and giving them different materials and then is brought together. The combinations are endless.